The millennium city of Gurugram is primarily administered by the Municipal Corporation of Gurugram. The geographical area of Gurugram has been divided into various structure for the purpose of administration. Some of the basic administrative structures of Gurugram include Sub divisions, Tehsils (taluks), Blocks, Municipal committees and so on. 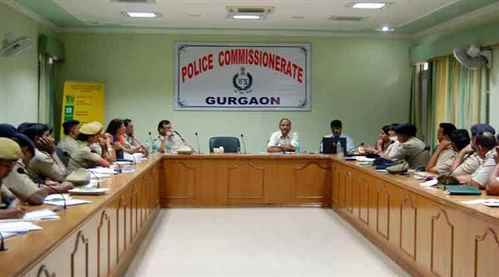 The Deputy Commissioner is the Chief District Officer (CDO) of the Gurugram governing body. The Deputy Commissioner is aided by Sub Divisional Magistrate directing a subsection. The Additional Deputy Commissioner is resposible for the District Rural Development Agency, shortly referred as DRDA for growth of the territory. Sectoral growth is taken care by the territory chief of each development section such as education, agribusiness, animal farming, public wellness and so on. Health department, Revenue department, Transport department, Food and supply department, Police department, District Rural Development Agency, Public works department and few other departments. The Panchayat Raj Institution of Gurugram is a three tier exclusive setup. Haryana Urban Development Authority, shortly called as HUDA is the city planning government agency of the northern state of Haryana. The Haryana Urban Development Authority has divided the districts of the state into five exclusive zones. Gurugram zone consists of the following localities of Rewari, Narnaul, Pataudi, Dharuhera and Gurugram. The authority is further divided into twelve departments like town planning, enforcement, policy, land acquisition, legal and so on. Furthermore, HUDA is accounted for the growth and sustainment of institutional domains, commercial domains, industrial domains and communities. Gurugram Lok Sabha constituency consists of nine legislative assembly constituencies. Tout ensemble, the various departments of Gurugram administration ensure that the city is proceeding in the right direction in terms of growth, and the place is safe for people to come, work and live. Everyday when I leave for work I see so many pedestrians and cycle wala crossing road on sohna road amidst fast traffic. There are so many u turns which are very dangerous as no marking is done. Request u to build foot over bridge for pedestrians and barricade mark the uturn so that no accident take place.